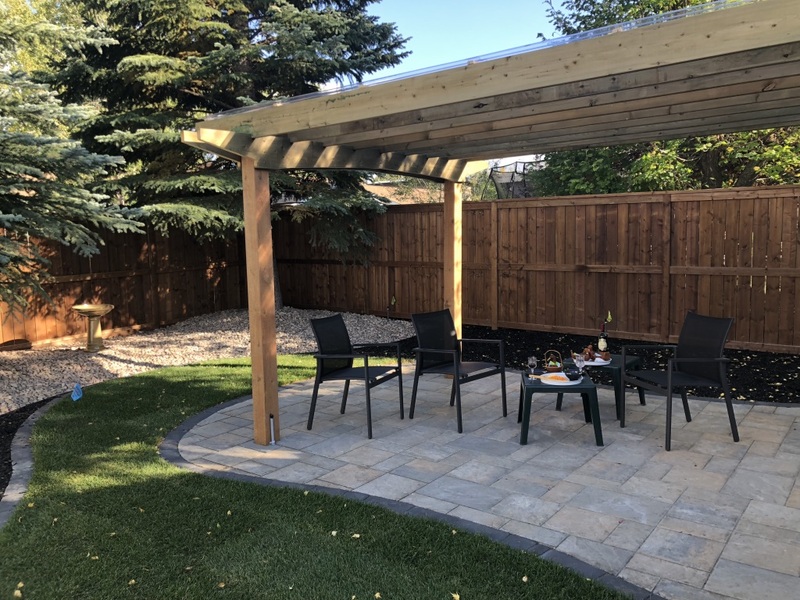 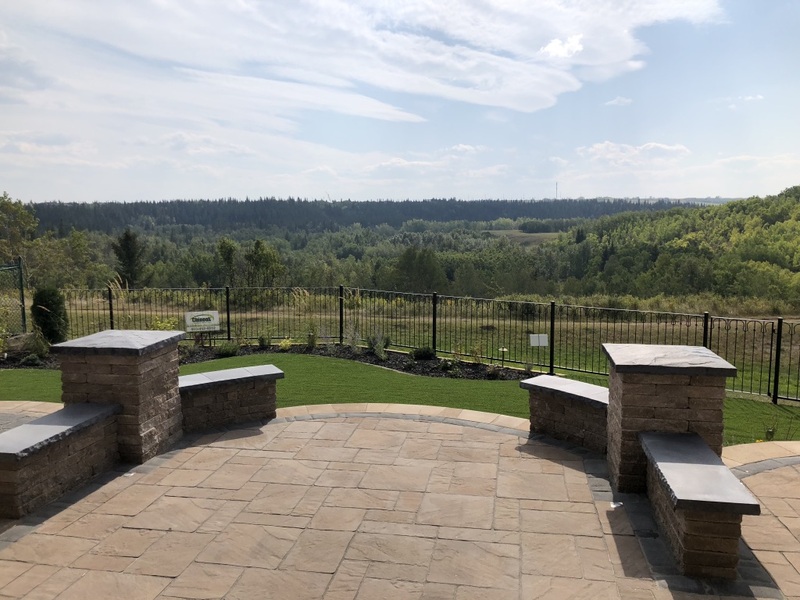 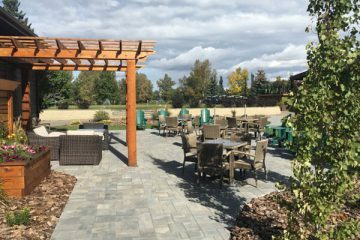 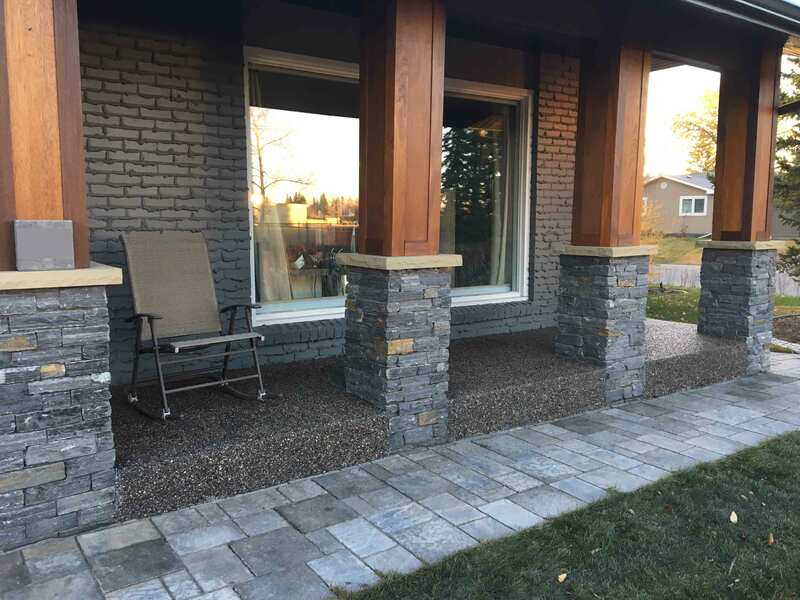 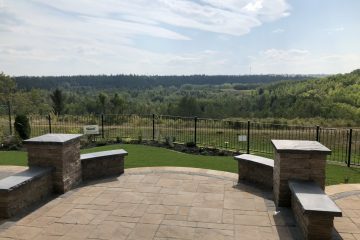 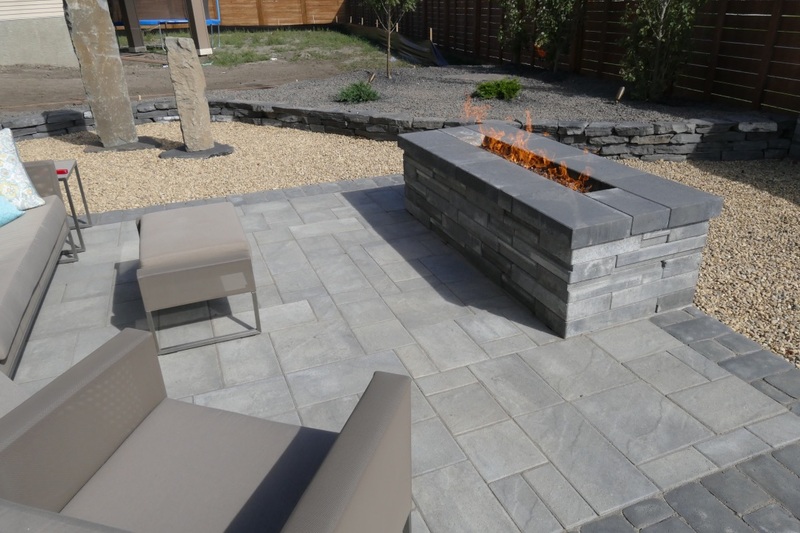 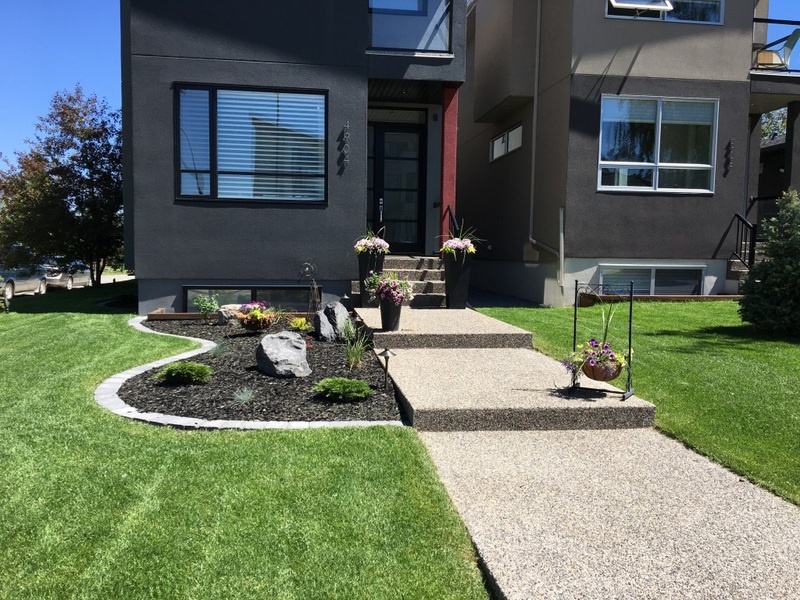 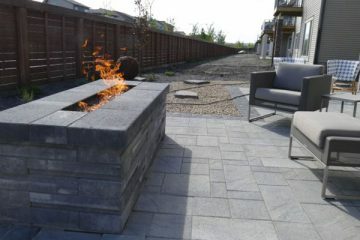 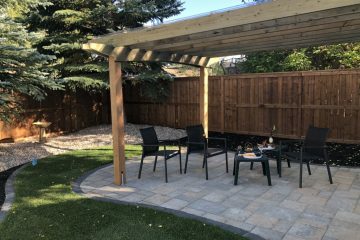 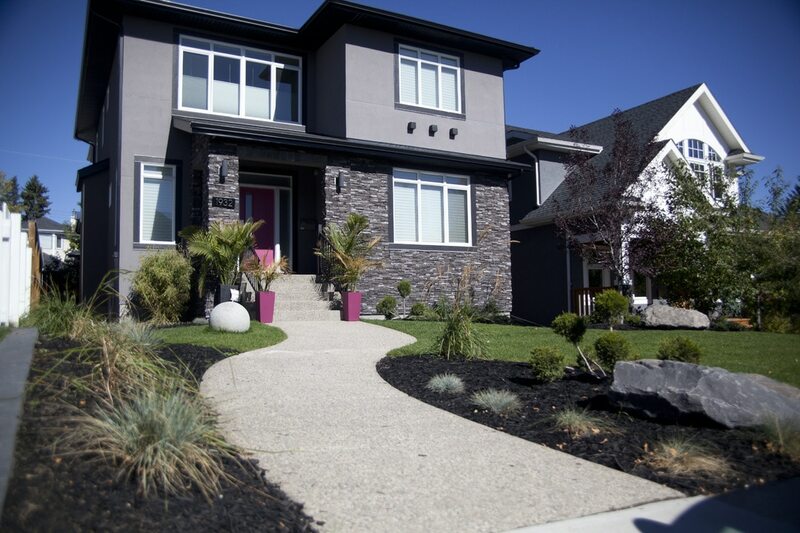 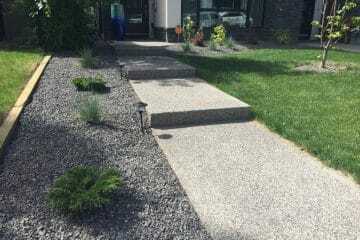 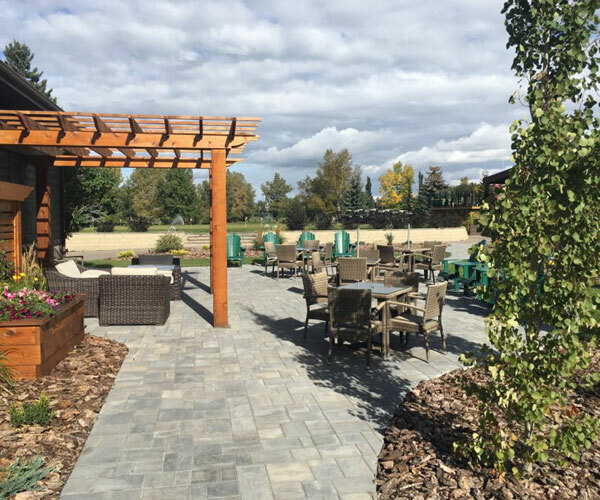 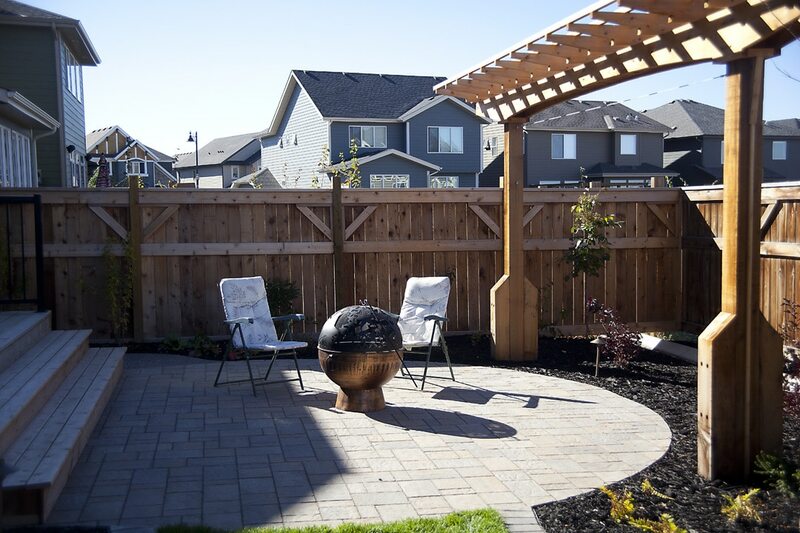 As your Landscaping Calgary specialists, Patios and walkways are one of the most popular landscape construction requests we get from our Calgary landscaping clients. 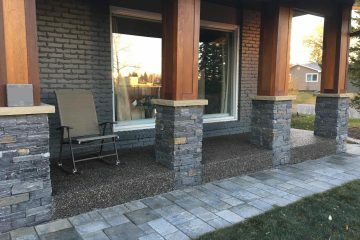 There are many options for patios and walkways from paving stones, natural stone, exposed aggregate and stamped concrete. 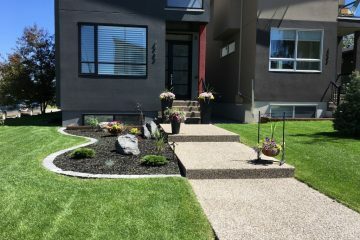 Some factors involved when making decisions on materials include your landscaping budget, visual appeal, landscaping design and step integration. 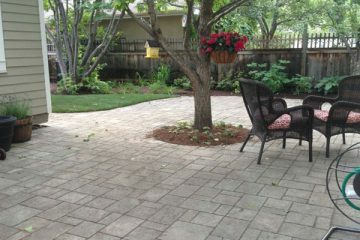 You will also need to consider the wear and tear of the walkway or patio and how much traffic they will see. 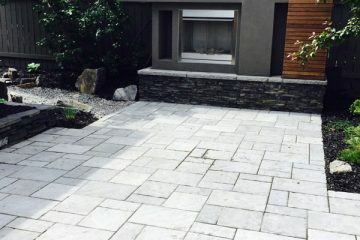 Some materials work well in high traffic areas and others do not. 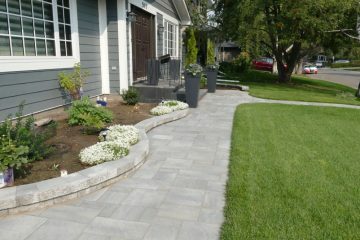 Paving stones are our first choice for patios and walkways due to their beautiful timeless look. 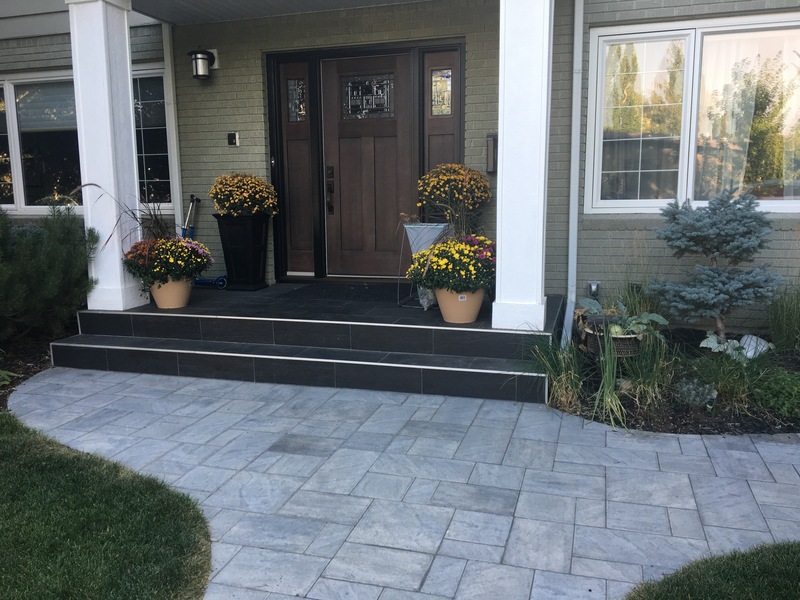 There are so many new paving stones styles to choose from and they are available from several different Canadian Manufacturers. 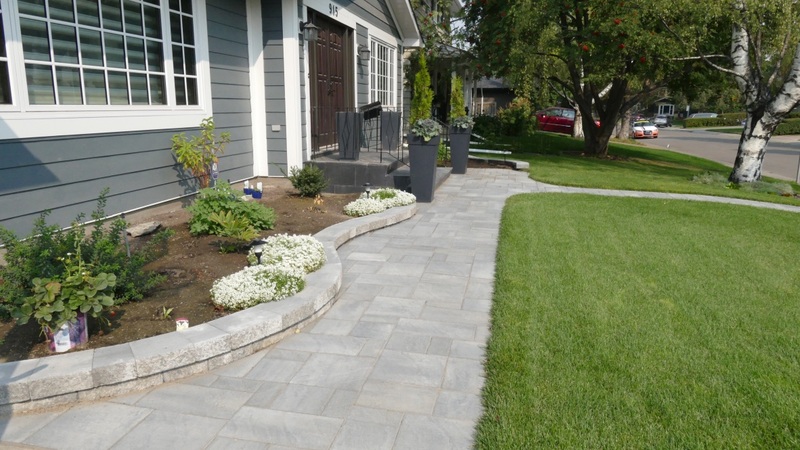 When it comes to cost, paving stones are the most costly to install and this cost is mainly due to labour. Any poured patio or walkway surface, such as concrete or stamped, will be less expensive because the labor costs less. The one time we caution homeowners against using paving stones is when there are numerous steps involved. 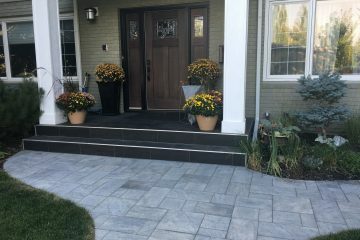 See our front step ideas blog for more information on this. 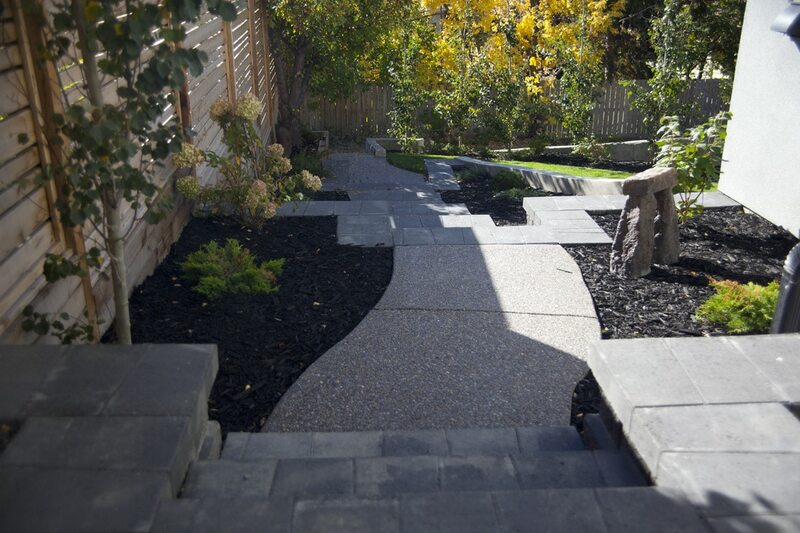 Steps built with paving stones require a retaining wall to support them and therefore you can have less stability than you would with a solid poured structure. 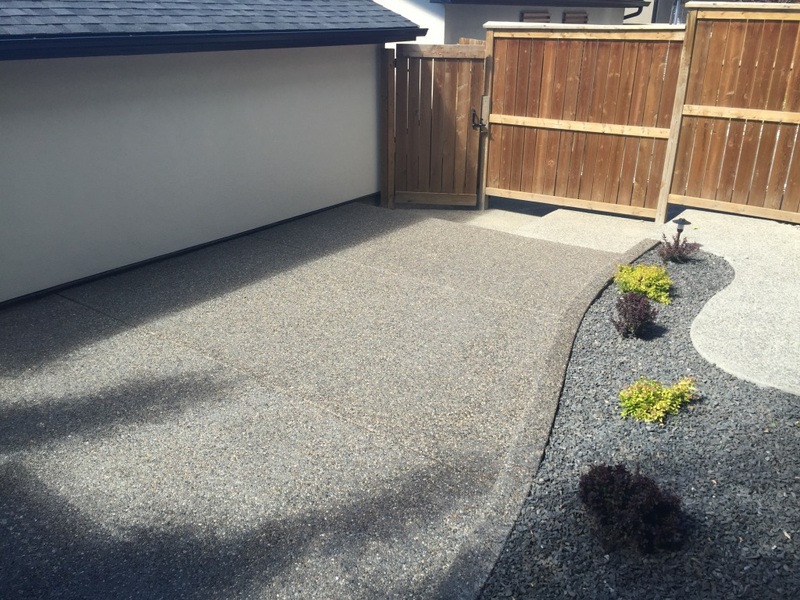 The main difference between paving stones and poured concrete like exposed aggregate or stamped concrete is that poured concrete can crack. 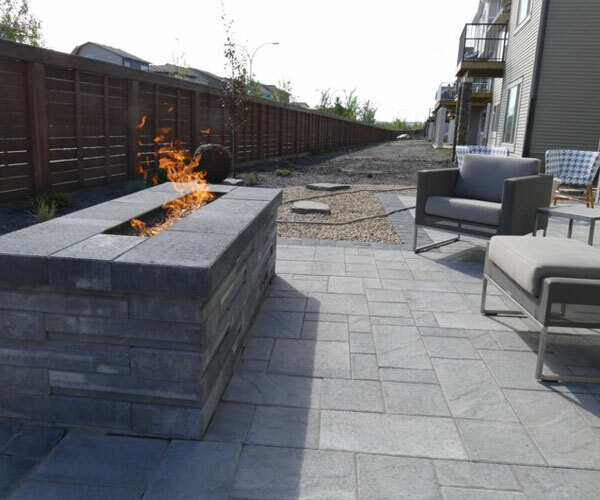 Calgary has wild temperature changes especially in the winter time and the large fluctuations in temperature can cause frost heaving and cracking. 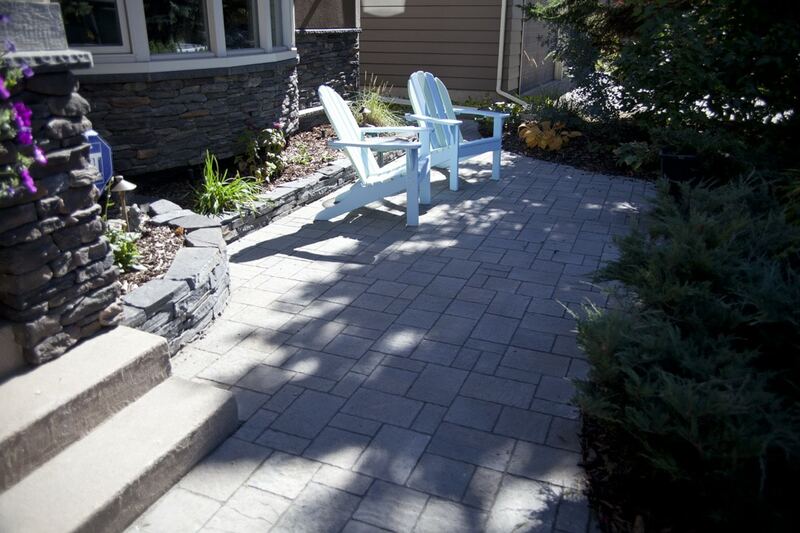 Paving stones are not susceptible to cracking but they can heave especially if they are not installed properly. 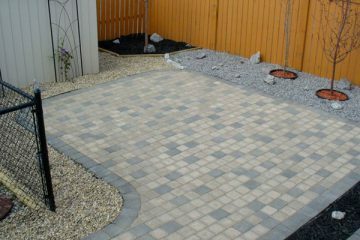 However, paving stone heaving can be easily repaired whereas concrete cracking cannot. 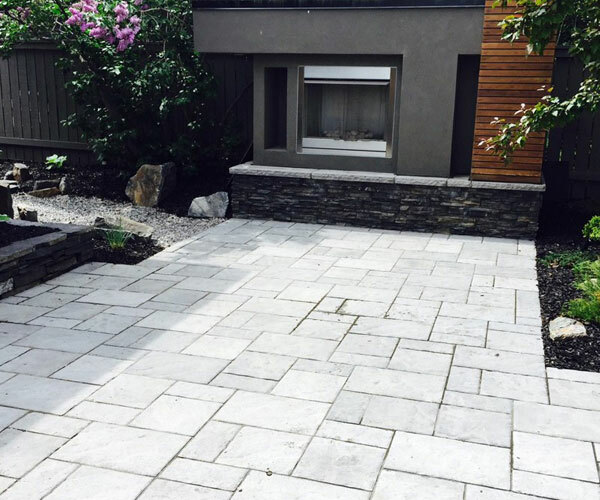 You can choose from many options in stamped concrete including style and colours. 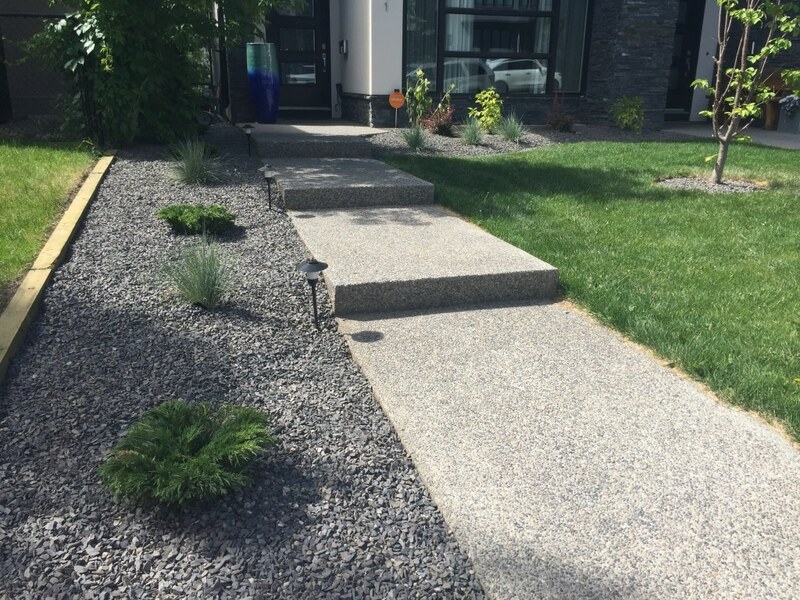 Concrete for walkways and patios can still be a great option for certain applications especially if your walkway has many steps. 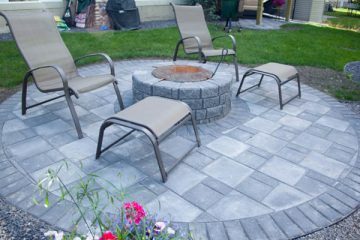 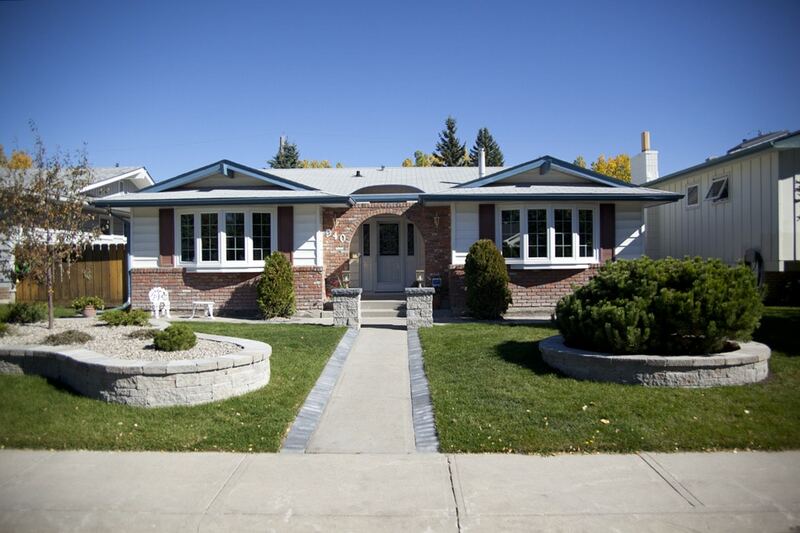 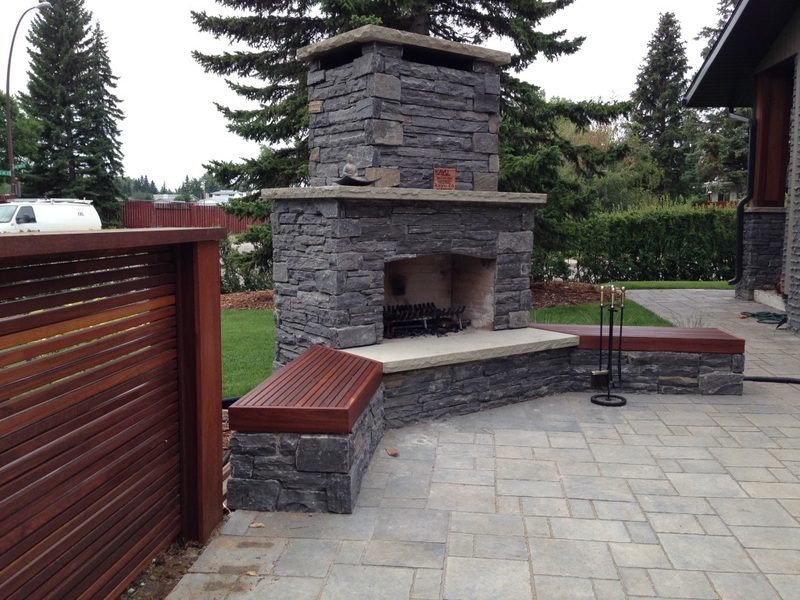 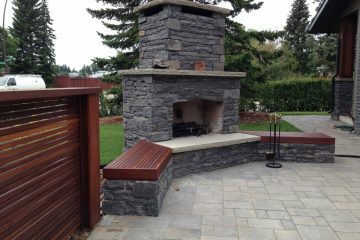 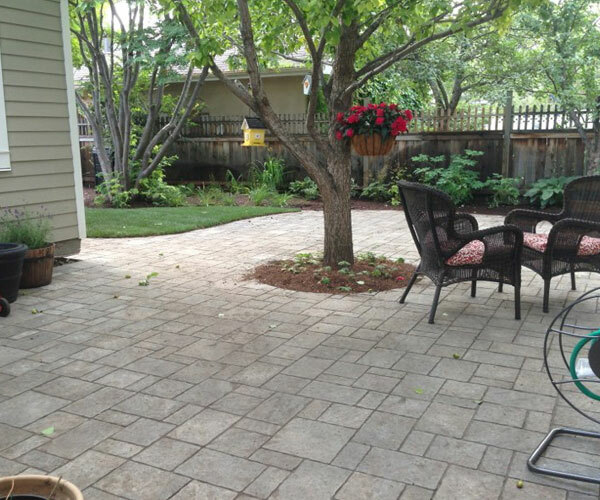 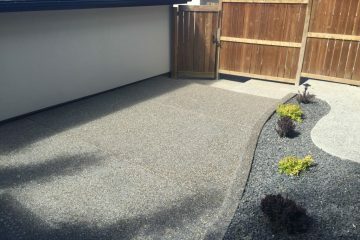 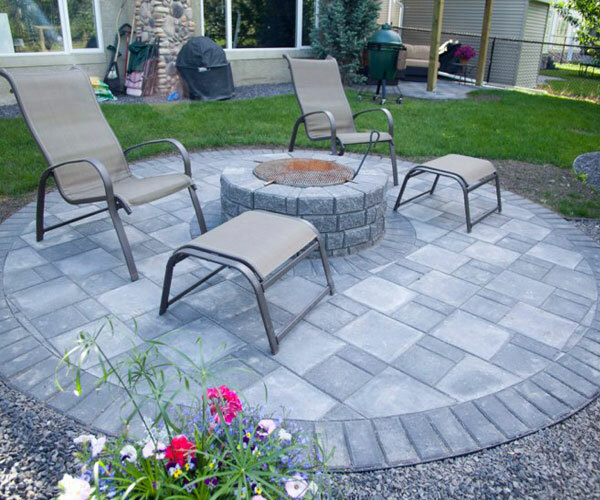 Chinook Landscaping Calgary can help you decide what type of patios and walkways is best for your landscape. 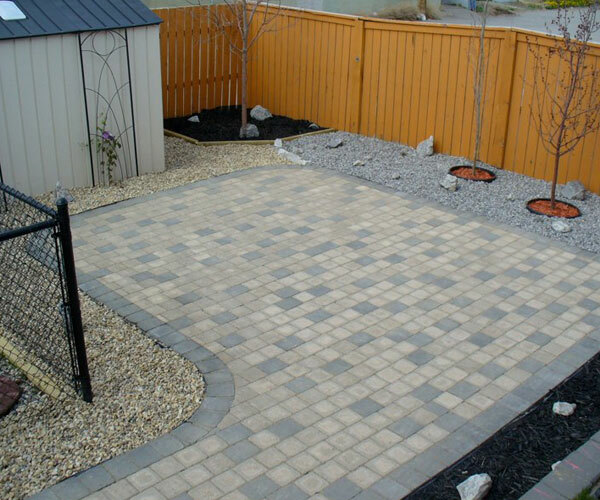 Call us today a 403-452-8552 to arrange for your free estimate.